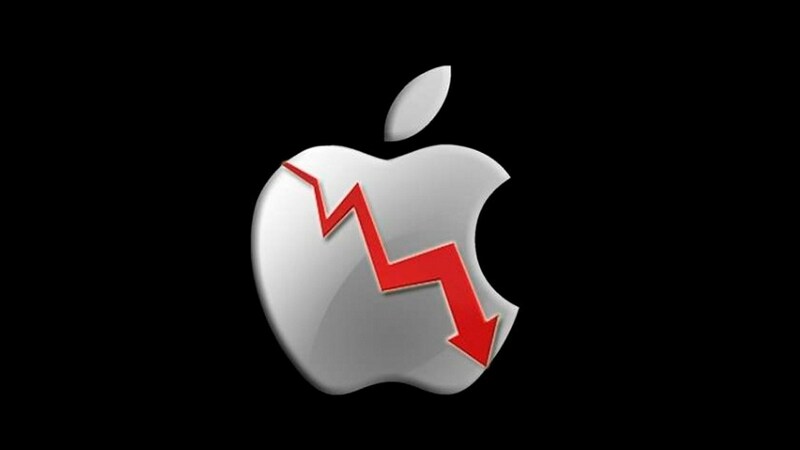 Apple’s stock price has suffered from further decline over recent days, with the current price reported by NASDAQ standing at US$176.78. Cautious investors are apparently biding their time to see what the Cupertino-based tech giant’s next move is going to be, and some analysts expect this to be a temporary downturn in the company’s fortunes. The days of Apple being called a trillion-dollar company seem very distant considering the company’s recent stock price decline. The stock price at the time of writing was US$176.78, which is an alarming fall from less than a month ago when the price closed at US$222.22 (November 1). The current market capitalization for Apple is US$838.8 billion, placing the company closer to rivals such as Microsoft (US$791 billion) and Amazon (US$741 billion). Notebookcheck has already reported on numerous reasons that have contributed to Apple’s diminishing value. A new concern that has now arisen is based on the firm’s service provision. It will take some time and investment for services such as Apple Pay or Apple Music to make up the company’s revenue shortfall due to expected hardware sales decline. In Q4 2018 Apple reported US$37.18 billion in revenue just for iPhone sales compared to US$9.98 billion for services. Positively, the firm’s services revenue has witnessed year-over-year and quarterly growth, but it’s still a long way short of what Apple’s iconic smartphone range brings in. However, some analysts believe Apple will eventually turn things around and that the company is simply suffering the effects of a broader downturn in the technology market that is affecting many other companies. But it has been reported that Foxconn, the manufacturing company that assembles many Apple products, is looking to cut US$2.9 billion in costs in 2019 as demand for iPhones becomes weaker in the global smartphone market.